Saying Kayak Lifetime Waterwalls are strong is like saying water is wet! With an industry exclusive design, Kayak pool walls are exceptionally strong, highly insulating, and maintenance free. Flip turns, kickoffs, edge jumps – you name it, Kayak water walls can handle it. Traditional above ground pools designs have thin walls that require water pressure to stabilize and support them. Kayak Pools are doubled walled for superior strength – two extruded aluminum panels sandwich a strong plastic honeycomb core. To top it off, our exclusive pool wall design also comes with our standard 30-year, worry-free warranty. Our double walled design has extraordinary insulating properties – many Kayak pool owners comfortably use their pools all season long without a pool heater. 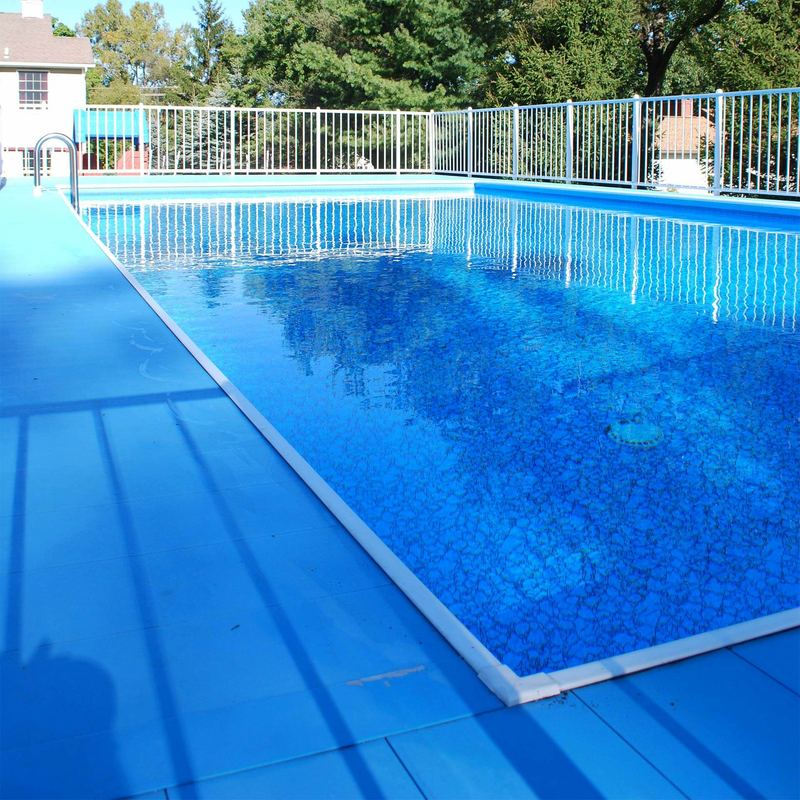 Kayak pool walls are also rust & rot proof, energy-efficient, and maintenance-friendly. 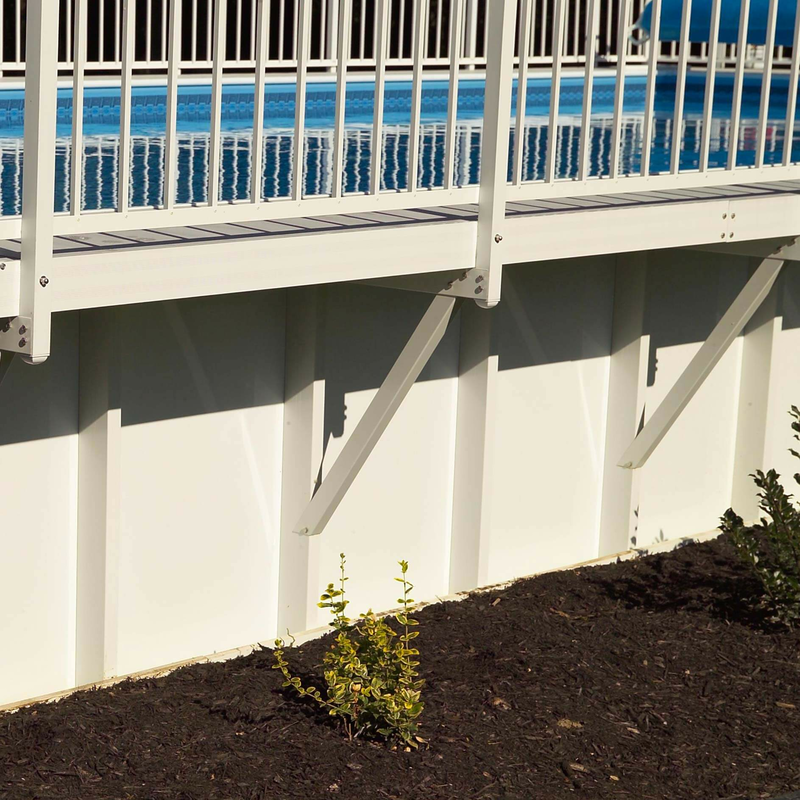 Available in light platinum or white, Kayak pool walls are finished with a durable, abrasion-resistant coating designed to stand up to dirt, dust, and everything in between. Pair our top notch water walls with our virgin vinyl liners for a truly watertight seal.